There is something slightly odd about a band's 14th studio album, 38 years on from their debut release, being self-titled. It is almost certainly unintentional, but there's a neatness about the link between that and this, perhaps, being the first time they haven't felt so ahead of the curve. 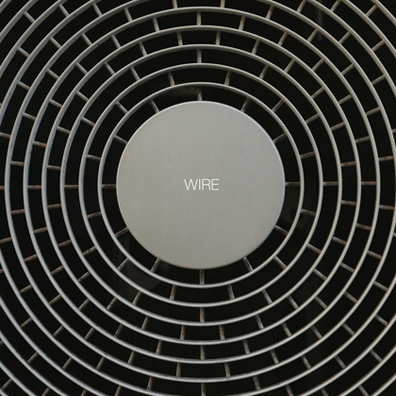 This isn't to say that Wire is a bad, dull, or pointless album, but here, the band sound very much like a contemporary post-punk band, rather than one of the future. That, in and of itself, is a near remarkable achievement for such a long running band. The same furious, punkish rhythms and snarling vocals are there from the opening track—entitled "Blogging" and containing references to "Youtubing," in case you were unsure of the album's 21st century orientation from the sound alone. There are very few twists and turns along the way. Distorted, stabbing guitar lines and dark synths give the album a modern shoegazey feel and the tracks are mostly solid, although the seven-and-a-half-minute "Sleep-Walking" is a bit of a sludgy slog.